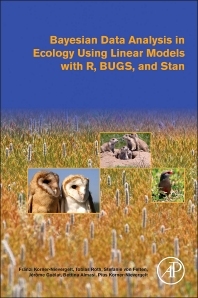 Bayesian Data Analysis in Ecology Using Linear Models with R, BUGS, and STAN examines the Bayesian and frequentist methods of conducting data analyses. The book provides the theoretical background in an easy-to-understand approach, encouraging readers to examine the processes that generated their data. Including discussions of model selection, model checking, and multi-model inference, the book also uses effect plots that allow a natural interpretation of data. Bayesian Data Analysis in Ecology Using Linear Models with R, BUGS, and STAN introduces Bayesian software, using R for the simple modes, and flexible Bayesian software (BUGS and Stan) for the more complicated ones. Guiding the ready from easy toward more complex (real) data analyses ina step-by-step manner, the book presents problems and solutions—including all R codes—that are most often applicable to other data and questions, making it an invaluable resource for analyzing a variety of data types. Chapter 1. Why do we Need Statistical Models and What is this Book About? Fränzi Korner-Nievergelt has been working as a statistical consultant since 2003. Dr. Korner-Nievergelt conducts research in ecology and ecological statistics at the Swiss Ornithological Institute and oikostat GmbH. Additionally, she provides data analyses for scientific projects in the public and private sector. A large part of her work involves teaching courses for scientists at scientific institutions and private organizations. Tobias Roth is a postdoc at the University of Basel where he teaches masters level courses in statistics for ecology and biology students. In addition, Dr. Tobias Roth is co-owner and project manager at Hintermann & Weber AG, where he is responsible for data analyses and develops analytical methods for biodiversity monitoring programs. Stefanie von Felten has a PhD in Plant Ecology and a diploma of advanced studies in statistics. Since 2010 she works as statistician at the University Hospital Basel where she is involved in planning, analysis and publication of clinical studies. In addition, Dr. von Felten is a statistical consultant for oikostat GmbH. She has been teaching statistics in several courses for Master and PhD students at various academic institutions and for doctors and other health personnel at the Hospital. 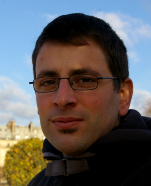 Jérôme Guélat has been leading the GIS team at the Swiss Ornithological Institute for more than 6 years. He uses spatial statistics to provide guidance to applied conservation problems. He also teaches a short course on spatial and Bayesian statistics. Pius Korner-Nievergelt has a PhD in ecology, conservation biology and a post-diploma course in applied statistics both from ETH Zurich. 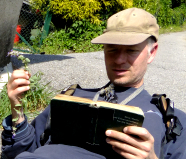 Dr. Korner-Nievergelt works as a statistician at oikostat GmbH as well as at the Swiss Ornithological Institute for data analyses, mainly regarding ecological questions.